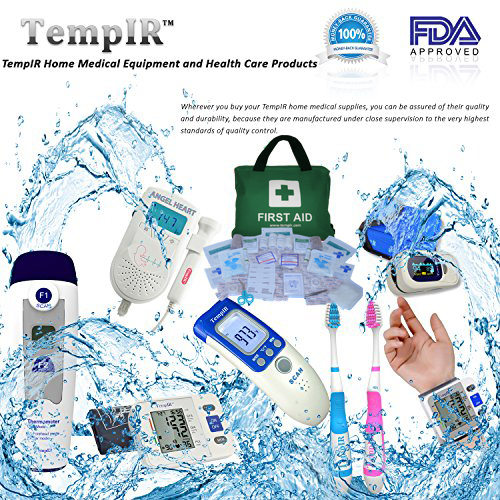 Categories: Clinical-Infrared-Body-Temperature-Thermometer, TempIR Products Tags: basal thermometer, body temperature thermometer, digital thermometer, infrared thermometer, non contact thermometer, temperature gauge, temperature gun Brand: TempIR. Everybody needs a thermometer, at work and at home. Imagine, your child or family member is ill. You want to know immediately if the illness is serious. How can a thermometer help? 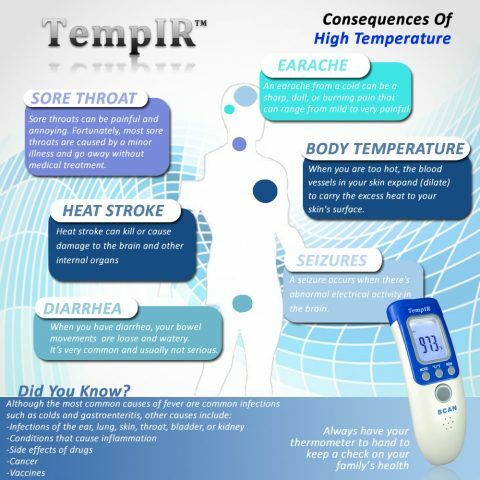 Thermometers help detect an increase in body temperature to help you assess the condition of your patient. A non-contact thermometer is ideal for many reasons particularly as there is no risk of contamination. It is quick and easy to use. The two most important things in this type of situation. 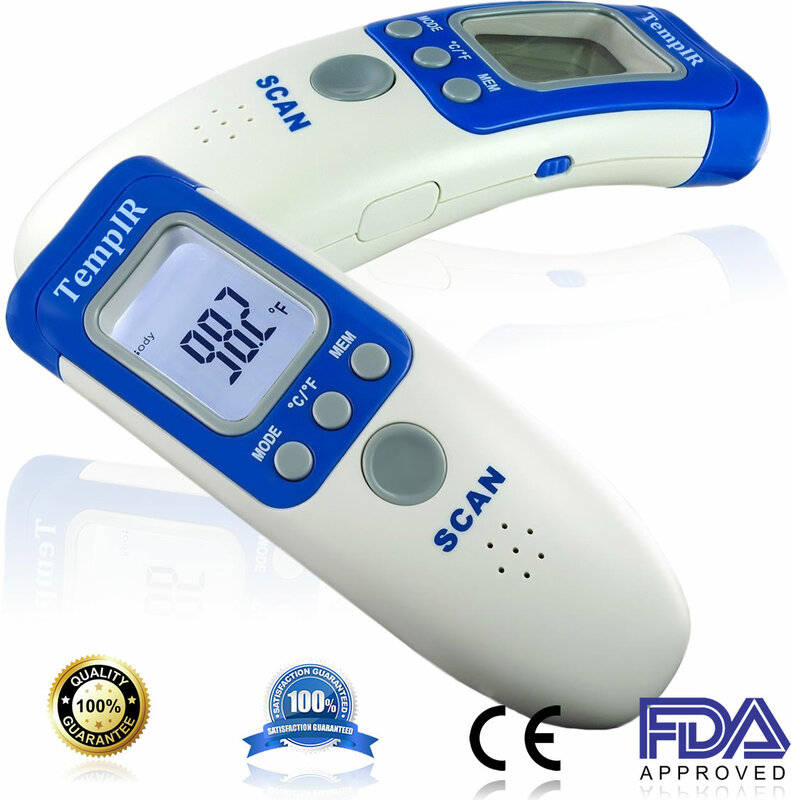 The TempIR Clinical Infrared Thermometer uses the latest infrared technology to produce accurate temperature readings by reading the infrared waves emitted by the temporal artery, which runs just below the surface of the skin on the forehead. 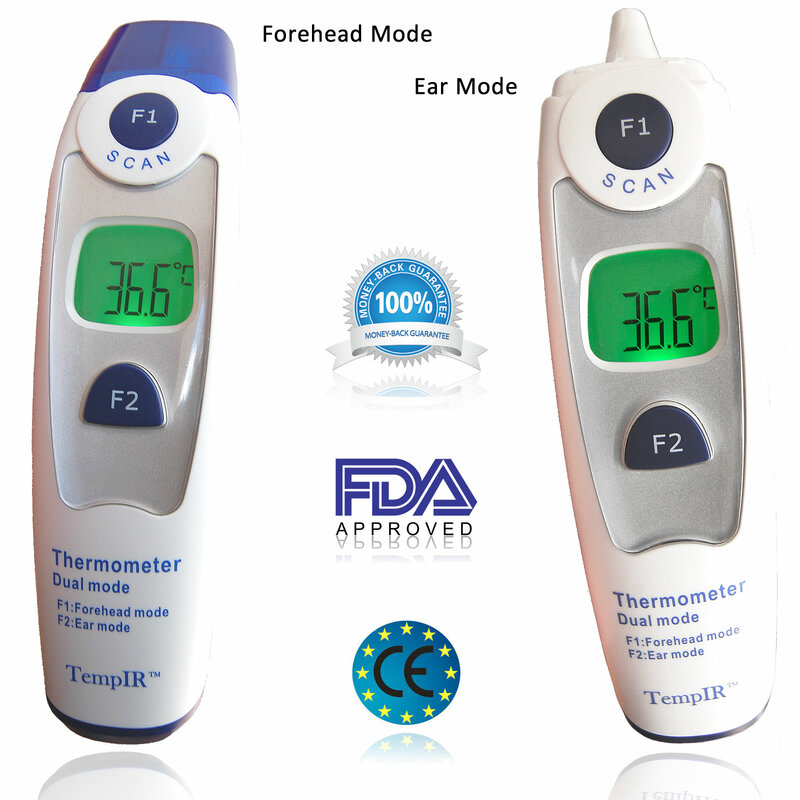 This digital thermometer is very easy to use, just press the button and point at the temporal region of the forehead (see below). You can even switch off the beep to avoid disturbance to the patient. TempIR has a backlit digital display screen, which displays the temperature reading in large numbers. It is therefore easy to read the temperature, even if the thermometer is used in a darkened room. 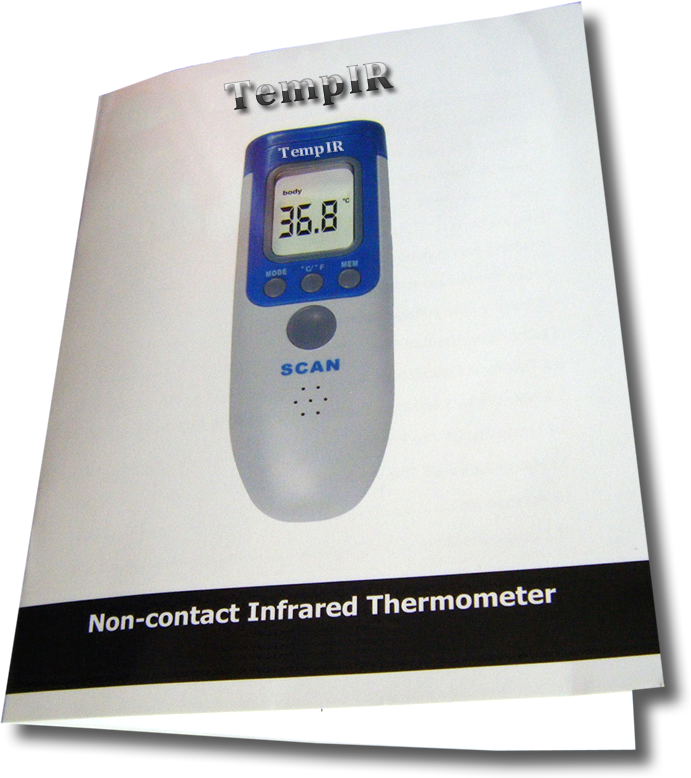 The TempIR Clinical Infrared Thermometer stores the previous 32 readings, so it’s easy to check on the progress of the patient. It reads the infrared waves emitted by the temporal artery, which runs just below the surface of the skin on the forehead. Just point the thermometer at the temporal region of the forehead from a distance of 3 – 5 centimeters (cm). Because it is a non contact thermometer it is extremely hygienic and will not spread the infection or illness as it does not come into contact with the skin, so the risk of cross infection is minimised. No need for separate thermometers for each person in the family, nor to label the thermometer for use on particular body parts. It can be used again immediately, which is handy if you have two sick children, or if you need to check the reading quickly. 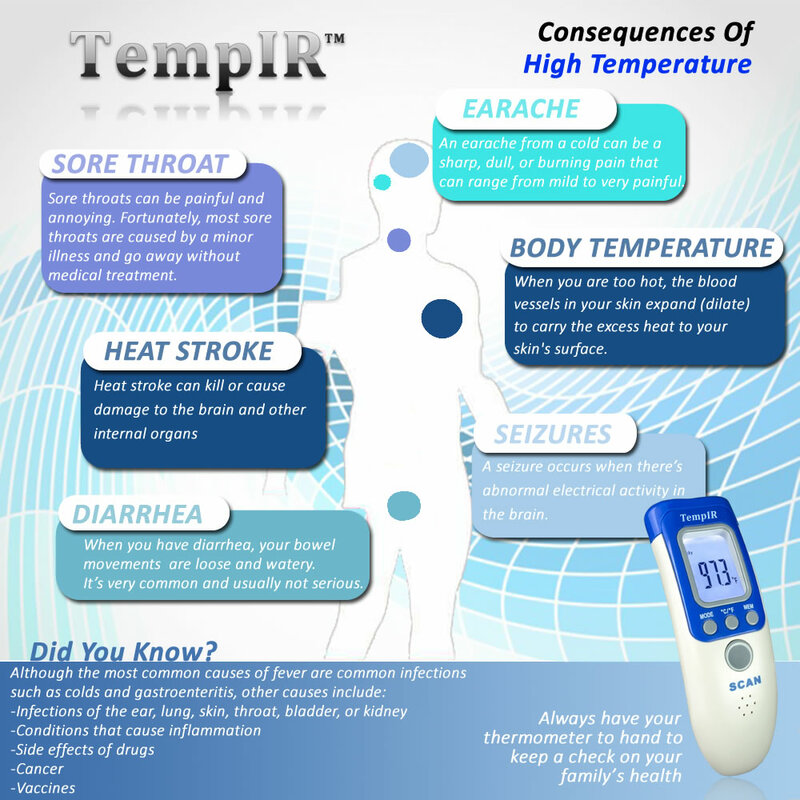 The TempIR body temperature thermometer can be used at any time on any person, even if they are asleep. Built in fever alarm to indicate if a temperature is very high. It is ideal for younger children and babies because it does not have to go in their ear. Studies show that temporal artery temperature measurement is more precise and better tolerated than tympanic or axillary temperature recording. 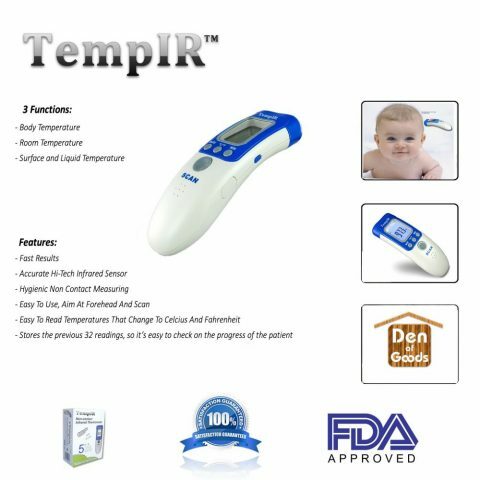 This Clinical Infrared Digital Laser Non Contact Thermometer Temperature Gun has been developed to use the latest Infrared Technology. It provides families the precision, convenience and accuracy when taking their childs temperature. Our laser thermometer has a LIFETIME GUARANTEE! See reviews to see what our customers are saying and watch our video! Click the Add to Cart button above and be confident that you have made the best choice for your familys health. Arrived very quickly and well packed. I Found it very easy to use lightweight and very comfortable to hold. With Good easy instructions to follow. It has many uses for me as well as being able to check our temperatures I was able to check the temperature of cooking/cooked meats on BBQ`S, wow that was a really useful bonus. I would certainly recommend it to friends and family. An innovative no touch thermometer that is compact and maintains the accuracy of an invasive tehrmometer. Excellent product and great value for the money. This nifty little device is great to have in your medicine cabinet.Especially if you are a parent or grandparent.Since we baby sit our grandkid’s quite a bit and they have sign’s of not feeling well this unit provides valuable info when determining if a doctor visit is needed. I think all family’s should have one.I ordered this and was very happy with how fast we got it.Nice looking and durable! easy and cheap to use. I would highly recommend buying one! delivery as well. I’m very glad I made the right choice. I am a home health nurse and at first I did not think I was going to like this product as it seemed to give either very high or very low readings. 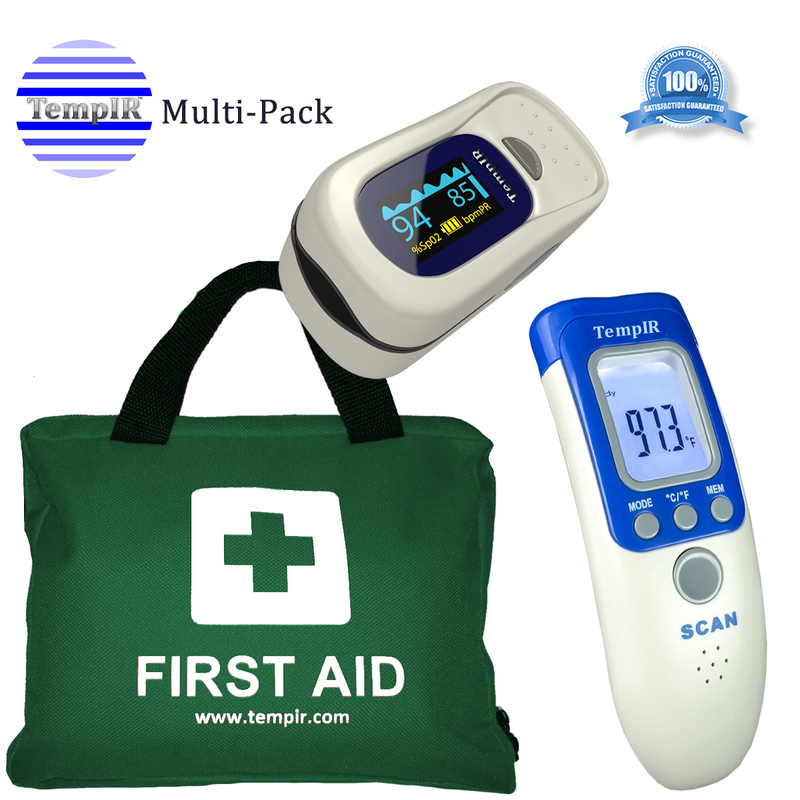 What I have found is that the thermometer needs to be at room temperature prior to taking the temperature so I take it out of my bag on arrival to a home and then in a few minutes it takes an accurate temperature without having to touch it to the patient. This thermometer makes a huge difference. If you have ever been up all night with a sick child you know how difficult it can be to check and recheck their temp to see if it’s going up or down. One of my kids has the tendency to have high fevers which I need to control with cool compresses and fever reducers. It’s imperative that I monitor her fever every 30 minutes or so. It has been a challenge in the past to get an accurate reading. The ear thermometer I used had an unreliable reading which I had to check and recheck. The oral thermometer was next to impossible but what I ultimately relied on. Monitoring the temp was a challenge to say the least. It makes a world of difference to be able to monitor while she sleeps. This thermometer has a memory to show the history of the temp through the night. So far I have no negatives to report. This thermometer works very well for me. The company stands behind their product with a “no hassle product replacement guarantee”. It has enhanced my life in ways that only a ‘care giver’ can appreciate. After reviewing many thermometers, decided to purchase the Tempir. The description was spot on. It’s easy to use, has big bright LCD numbers making it easy to read, can switch to Fahrenheit or Celsius, shuts off on its own, and only takes a matter of seconds to get a reading. Overall a great product for a great price! Would definitely recommend. Works great for a cranky two year old. When even an in-ear thermometer is too much of an invasion for a sick two year old, this thing works like a charm. It provides a reading that I would estimate is accurate to .3 degrees (did I mention it was difficult to use the in-ear thermometer for comparison?). It works for regular parenting checks and is not that difficult to use. Step one – get child to hold reasonably still; Step two – Aim; Step three – Hit the button. What a fantastic thermometer. I did not realize that such infrared items even existed let alone that they are available for home use. What a great deal. We have several thermometers ones that go in the ear, mouth, or rub over the head. 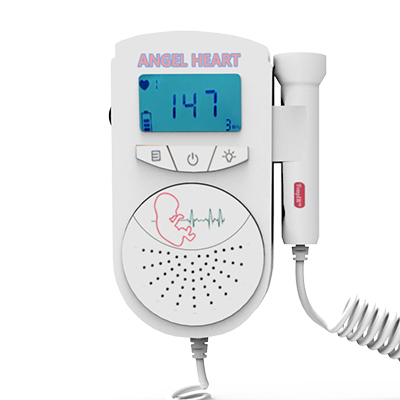 We purchased this for our daughter and she love it, we can take her temperature without waking her at night. It seems to be as accurate as several of the other thermometers that we own. 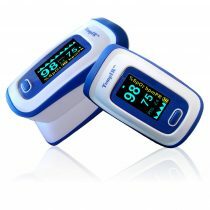 I have the TempIR Pulse Oximeter (also reviewed) which is highly rated and very accurate, so I expect good things from this unit. I simply have no way to determine true accuracy of the body temp. For room temperature readings, it does fall within range of my two digital room thermometers. But there is no telling which of the three units has the truest reading without comparing to an old fashioned glass thermometer. Variences in thermal readings is common among digital devices and is the nature of the beast. With that said, I do get varient readings among family members. I may measure in the 97.x degree range, while my brother may read 98.x. The only way to confirm the accuracy is too feel differences in the forehead temperatures with my hand. I do concur that I detect warmth differences. It is working in that sense. Though this unit does allow calibration to adjust readings for accurate body temps, there is no clear indicator what to measure against. Do I find a thermometer and calibrate it against the oral reading, or press it against my forehead and calibrate? This only concerns me because poor calibration may indicate that slight fevers are not detectable. That can also be due to the +/- accuracy of these devices in general. Apparently, you only can calibrate the body temperature reading in 0.1 increments. I do not know if that reflects in the reading of room and surface temperatures. I read the warm area of my TV after it warmed up and the TempIR is certainly seeing temps above the room temperature. I measured my brother who was cool all over his body and claimed it could be from running the car a/c when coming home. Sadly Amazon is now full of shill reviews for products, which is frustrating at the best of times and very annoying when trying to find items for your children. In short this product works as described and does it well. I did not follow the family rules and bought this without the wife’s approval, but she is happy with it and as she is a nurse so that’s the best verdict of all for a product like this. This is one awesome thermometer…super fast response and no contact whatsoever. Accurate measurement and easy to use. All in all, highly recommend using this thermometer. Very fast delivery as well. I’m very glad I made the right choice. 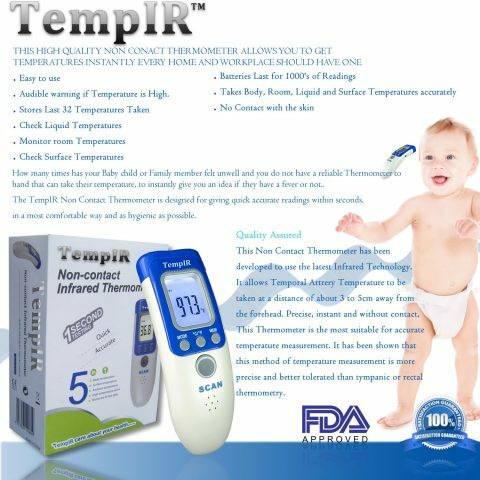 I am very impressed with the tempiR thermometer, my daughter works in a hospital, she said we don’t use them as good as the one I purchasedBut also said what do I want it for, I told her it will be handy to have in the house, and I have used it quiet a lot , also with grandchildren when they have not been well.I had read the reports on the tempIR and it came out the best to me from reports on other ones I had read . I did not rush in to buying one, looked at other cheaper ones , but I kept coming back to this model ,so I purchased one, no skin contact need , also has other features I believe it’s the best there is . I have had a fair few different types of thermometers, in-fared ear thermometer (which is too much of a struggle to get a reading from a child with), a forehead thermometer (which isn’t precise) and a digital under the arm thermometer (which my children hate).I opted to give this thermometer ago as my children contracted scarlet fever. Was absolutely fantastic – even the hospital staff asked where i had got it from they said it was brilliant and as accurate as their own The hospital actually ended up using my thermometer to take accurate readings as their own was time consuming having to strip down sleeping babies to get readings from. Before i left the hospital were actually looking into purchasing a load for their ward as they were so impressed with it! I am in the child care business, and I have to say this is the best thermometer I have ever used, the kids love it you don’t have to touch them, Just point near their forehead and take the reading. I tested it along side my old glass thermometer and the readings are exact.So much easier, I have recommended it to my colleagues and friends. I had been looking for a thermometer for my family & after reading the reviews for this one decided to purchase. I am so pleased I did. Simple to use, non invasive, easy to take the temperature of my 18 month old and the new born. Firstly the service, very quick delivery from Den of Goods, product supplied with batteries and a case. A personal phone call from TempIR to ask how we are getting on with the product – never had that before, but a really nice touch.Thermometer works fine. We used it to track our baby’s temp following her first injections. You can scroll back through your previous checks to spot a pattern or track changes.Quality seems OK, the plastic is a little cheap, but it’s fairly solid overall. The display is nice and clear and is backlit for night time use. It is very easy to use indeed.Overall a good product, does the job and backedup by excexcellent seservice. Thanks guys! This is a must for any parent! My little one does not like to get her temperature taken when she is sick, and she always fights us. This is the perfect solution, because we do not need to keep this against her body, and she does not get bothered! This is really accurate, and I love how easy it is to see the reading! The buttons on this make a lot of sense, and I did not need to consult instructions to get it ready for use!Some Other Possible Uses – Check Liquid Temperatures – Monitor room Temperatures – Check Surface TemperaturesI am so happy I had the chance to review this product!